Image: Amazon. LittlePerfectStock/Shutterstock. Design: Ashley Britton/SheKnows. If you need a gift for a new baby in your life, the choices can be overwhelming. The sheer number of toys out there for babies is panic-inducing. But hey, at least you have an insight into who the little bundle of joy might grow up to be — thanks to their zodiac sign. Giving a baby gift based on the zodiac might sound a little woo-woo, but if you buy into the idea that so many of our traits and quirks are already determined by the universe at birth, the zodiac can be a pretty great hint as to what gifts will hit home. As the late, great Carl Sagan said, “We’re all just made of star stuff” — right? So stop googling the top toys of 2019 and get that tiny tot something more personalized. 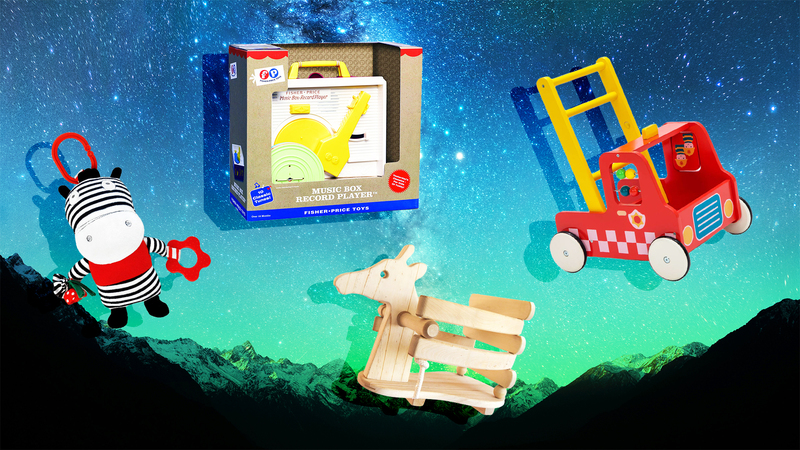 Here are the greatest baby gifts for each zodiac sign, so you can be proud of what you’re bringing the new cherub — and won’t be embarrassed by giving the tyke their third rattle shaped like a mini sriracha bottle. Aries babies are in it to win it. They are always on the move — energetic, commanding, and willful. This baby balance bike is for babies 6 to 24 months old and is the perfect gift to help that tiny Aries build confidence and balance (and look like a total badass as they ride around the house). Taurus is an earth sign, drawn to the natural world. Get that stubborn, earthy bull these gorgeous wooden teethers shaped like an elephant, a bird, a hedgehog, a dinosaur, a rabbit, a seahorse, a fish, a whale, and even a cloud. The wood has antibacterial and antimicrobial properties, making it a superior teething choice for infants. A little Gemini rascal is very sociable; she loves to make faces and interact with people. 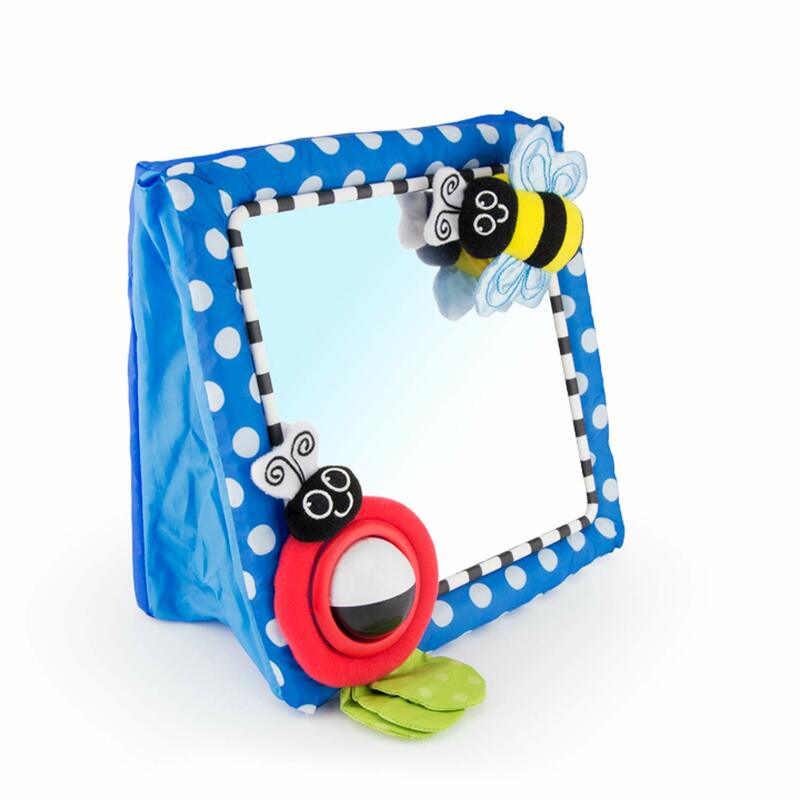 Let her check out her own facial expressions and engage her curiosity with this bold ladybug, spinning ball, and clicking bee. Cancers love to love and be loved, and this teether is the perfect toy to show a baby crab how much they’re adored. Parents can record a special message or sing a lullaby. This teether stimulates cognitive and emotional development, lets Baby hear a parent’s voice for reassurance, and can store educational songs as well. Recordable teether, $13.95 at Amazon. 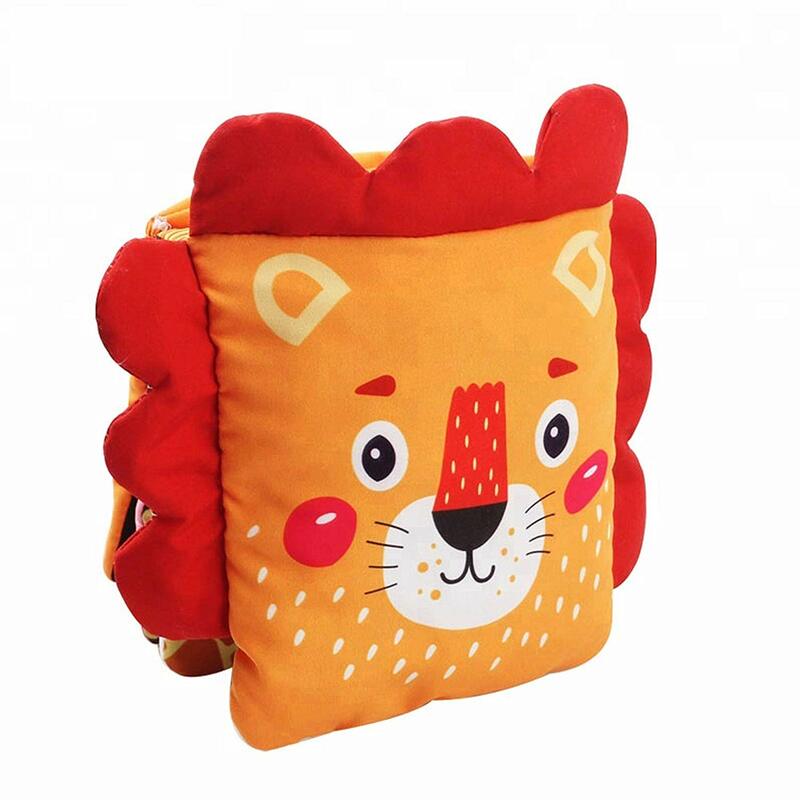 Leos love bright, bold colors and fun sounds, and this crinkle book is perfect for your little lion. The soft setup encourages exploration and adventure, and each page has fun things for Baby to touch, feel, and hear. Virgos love to create and are very detail-oriented. Their minds are never quiet — always thinking, calculating, assessing. They love producing something that is not only useful, but beautiful too. These sensory blocks are everything a little Virgo is looking for, with bright, beautiful colors Baby can use to create castles, trucks, towers or animals that feel good on their hands (and teeth), too. Music soothes any savage beast — and will soothe a savage little Libra, too. Libras love music and are very artistic, so this Baby Einstein take-along music toy will be their go-to. It helps them grasp, teethe, and plays seven tunes with flashing lights to keep them happy and bouncing. Daredevils and renegades, Scorpios are anything but fearful — and they’ll usually try things other babies might be more hesitant to dive into. Don’t be surprised if they try to walk sooner than expected, too. Help them out with this rad firetruck baby walker that helps develop balance, fine motor skills and coordination. Sagittarius kids are always on the go. They hate staying in one place, get bored easily with repetition, and feel restless if they’re not constantly changing it up. Keep your tiny traveler entertained wherever their adventures take them with this cozy zebra sensory toy. Black, white and red are the colors Baby sees best, and this cutie boasts different textures and sounds so they’ll never get bored. Added bonus: It’s machine-washable. These babes are old souls. Capricorns are wise beyond their years and usually seem to have done this trip around the sun a few times already. Keep them happy with this record player that includes 10 children’s classics songs (on five records that store inside the player). Next thing you know, kiddo will be jamming out to the Grateful Dead and reminiscing about the good old days. Aquarius babes are full of energy; they’re always active and love being in motion. This giraffe swing will keep them giggling and swinging for hours on end. It’s wooden frame is eco-friendly and perfect for babies six months to three years. And if a little Aquarius gets cranky when the weather is foul and they can’t burn off that energy? Just hang the swing indoors for their own personal playground.